Child Find of America - Free Way to Support Us! 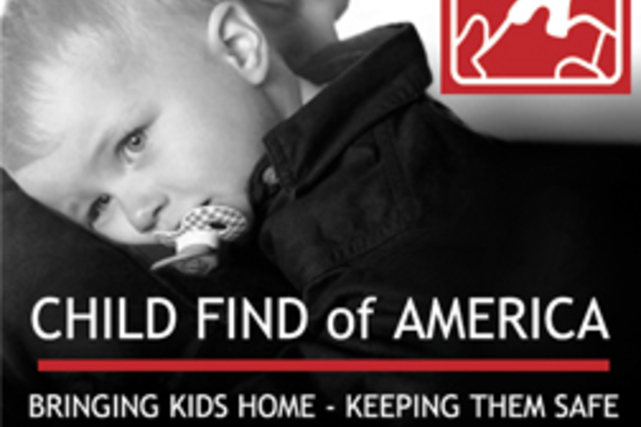 Child Find of America, Inc. is a national non-profit organization dedicated to creating a world in which every child thrives in a safe, healthy, and legal environment. Child Find receives calls for help from searching parents, parents in conflict, family members, law enforcement, child welfare and other allied agencies, at-risk youth, and educators. In the past fiscal year, Child Find received 4,000 calls for assistance and worked on 774 new and existing cases. Our dedicated caseworkers located 93 children who ran away or were abducted by a parent or family member. Child Find's also offers a Parent Help program, which helps families navigate conflict resolution, and creates educational toolkits that we share with families, schools, and children's agencies nationwide. Your support will help us reunite children with their families, and provide education and support to resolve the family conflicts that can lead to abuse and abduction. We'll donate to Child Find of America when you shop online! Once you’ve made a purchase with one of our participating stores, we make a donation in your honor to Child Find of America. Over $13 million has been raised so far!